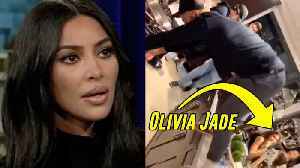 Kim Kardashian SLAMMED Lori Laughlin for paying her daughters way into school… Olivia Jade is unfazed by the hate her parents are getting..she was seen partying recently while her parents await their prison sentence. Finally, Nash Grier and his..
Lori Loughlin has received more bad news as it’s been reported that one of her daughters has received a letter from the Department of Justice that she is the subject of a criminal investigation. Former ‘Full House’ actress Lori Loughlin officially enters a plea of not guilty for her role in the college admissions scandal as she faces additional charges of Money Laundering. According to SF Gate, actress Lori Loughlin and her husband Mossimo Giannulli are pleading not guilty to charges filed against them as part of the nationwide college admissions cheating case. 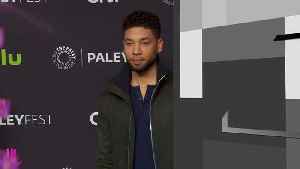 Loughlin and Giannulli are both charged with one count of..
On Monday, Actress Lori Loughlin said she will plead not guilty to charges to her part in the college admissions scandal. 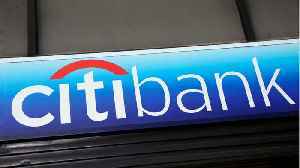 Reuters reports they are among 50 people accused of participating in the scheme . The scam allowed wealthy parents to use.. Ever since the College admission scandal broke, it’s been one nightmare after another for Full House Star Lori Louglhin as she now reportedly faces up to 40 years in prison for Money Laundering. According to CNN.com, &quot;YouTube star Olivia Jade Giannulli is &quot;devastated&quot; by the allegations her parents are facing in the college admissions scandal.&quot; Her friend spoke for her to the press, &quot;Olivia is.. According to CNN.com, "YouTube star Olivia Jade Giannulli is "devastated" by the allegations her parents are facing in the college admissions scandal." Her friend spoke for her to the press, "Olivia is devastated and completely embarrassed. 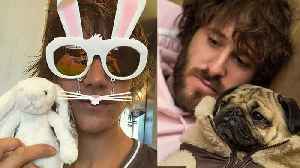 She feels..
Justin Bieber TEASES New Music With Lil Dicky! Fans think Justin Bieber is making his COMEBACK to music as soon as NEXT WEEK with this famous YouTuber. PLUS…Olivia Jade was seen out PARTYING IT UP while her mom IS facing up to 40 years in prison! Finally…Jeffree Star reaches out to a fan who.. According to Business Insider, Actress Lori Loughlin and her fashion designer husband, Mossimo Giannulli, have not entered plea agreements in the college admissions scandal reportedly because the don't want to take a deal that would result in jail..
Felicity Huffman agreed to plead guilty in the college admission cheating scandal. Court documents show that Huffman is among 12 other prominent parents who will plead guilty. 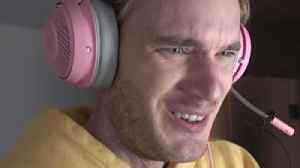 Huffman allegedly paid $15,000 to have a proctor boost her older..
PewDiePie might have one of the MOST POPULAR channels on YouTube BUT there’s a chance he could be kicked off soon…PLUS…the LaBrant Family sits down to address all the HATE they received from their April Fools Prank on their daughter. And may I..
CNN reports that on Wednesday, actresses Lori Loughlin and Felicity Huffman arrived at a Boston federal court for their initial court appearances. The actresses are part of more than a dozen people indicted last month in a massive college-admissions..
CNN reports Actresses Lori Loughlin and Felicity Huffman are among a group of 11 wealthy parents expected in federal court on Wednesday as part of the college admissions scam.The defendants are each charged with conspiracy to commit mail fraud and..
Olivia Jade Claims She’s A VICTIM Of College Admission Scandal! Liza Koshy is BACK on her original channel for the first time in a YEAR with an AMAZING new video. 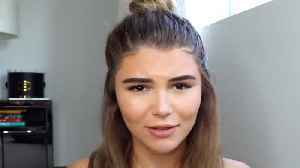 PLUS…Fellow YouTuber Olivia Jade is now saying she’s the VICTIM in this whole college admission scandal. FINALLY…James Charles gets dragged for..
Allure reports that a trademark application submitted by Olivia Jade&apos;s Beauty brand was rejected for having grammatical errors. Logan Pauls Says He’s Ready To QUIT Youtube! Would Rather Do All THESE Things Instead! 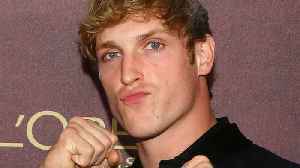 Logan Paul reveals he does NOT want to be a Youtuber for the rest of his life… PLUS…David Dobrik reveals that he’s checking on fellow YouTuber Olivia Jade while she’s in the midst of this college admissions scandal…FINALLY is the sister..
As if getting caught up in a college admission scandal wasn’t bad enough, it turns out Lori Loughlin’s daughter may not have even filled out her own application. Beauty Blogger Olivia Jade may not have to worry about continuing her studies at USC after being caught in a huge college fraud scheme set up by her parents Lori Loughlin and Mossimo Giannulli. Lori Loughlin’s daughter Olivia Jade is having about as bad a week as her mother, relatively speaking. The latter lost a lucrative endorsement deal with Sephora and dropped out of USC fearing bullying from students who gained admissions to the..
Lori Loughlin's Daughter Didn't Even Go To Class In HS! The Loughlin family is in very big trouble. Remember Scott Disick's sweet Woman Crush post for Khloe Kardashian that I filled you in on? While we might have seen it as a sweet gesture it had his girlfriend Sofia Richie asking where her post is? 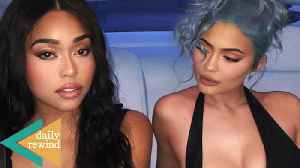 !PLUS…YouTuber Olivia Jade is reportedly FURIOUS..
Jordyn Woods is quickly making her way back into kylie’s circle of friends after this friend just liked her Instagram post! Trouble is still on the horizon for Mr. and Mrs. Bieber, Justin is really struggling to find happiness! &amp; Youtuber..
Lori Loughlin's Daughter Dropped by Sephora and TRESemmé Over College Bribe Scandal Loughlin was recently charged with participating in a college admissions cheating scandal as a way of getting her daughters into prestigious colleges. 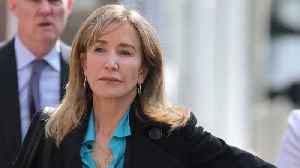 Her..
Loughlin is charged with conspiracy for her alleged participation in a nationwide college entrance bribery scheme. Actress Lori Loughlin could serve five years in prison for her alleged involvement a college cheating scandal. Uproxx reports her career and family are seeing enormous consequences. Loughlin’s most famous role may be a thing of the past. Deadline..